Tim Burton's The Nightmare Before Christmas is finally getting the Select action figure treatment! Featuring detailed sculpts in larger scale and diorama bases, the Nightmare Before Christmas Select Figures are sure to delight! 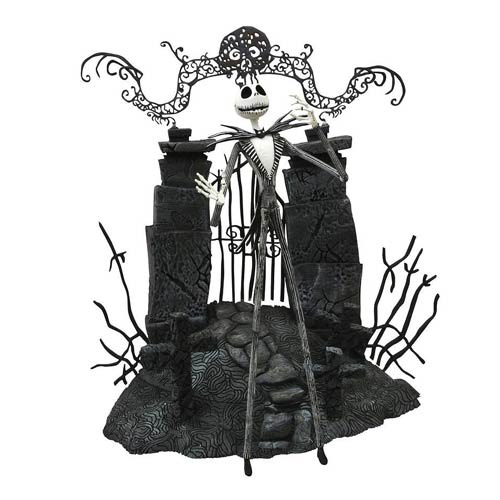 Jack Skellington is sculpted to a 7-inch scale with character-appropriate articulation. The Pumpkin King comes with a cemetery environment for the ultimate display! Ages 8 and up.